Fantastic Minute is a podcast where we analyze each minute of Fantastic Mr. Fox in order. Hello friendly listeners. Would you like to listen to a whole podcast about Minute 67 of Wes Anderson's 2009 film Fantastic Mr. Fox? Well then you should listen to this podcast. In this episode, Chandra, Tyler, and special guest Sam Stovold talk titanium credit cards, rabid dogs, and Dunkirk. Listen to Sam Stovold's podcasts! In this exhilarating edition of Fantastic Minute, Chandra, Tyler, and special guest Niall McGowan from Bat Minute analyze Minute 66 of Wes Anderson's Fantastic Mr. Fox. In this minute, motorcycles! Phobias! Helicopters! Comedy! We're on fire! Well, let's just say lots of things in this minute are on fire. Join Chandra, Tyler, and special guest Johann Joseph for ID4 Minute and Roughnecks Minute as they analyze Minute 65 of the 2009 film Fantastic Mr. Fox. In this minute, things burn, and one of the greatest gags of all time occurs. Seriously, check out Johann on his podcasts, they're great! Rate, review, subscribe, and tell your friends! On this week's episode of Fantastic Mr. Fox Minute, Chandra and Tyler are joined by Dustin Thornton of the Random Audio Network to discuss Minute 64 of the 2009 Wes Anderson film. In this minute, tempers flare and pinecones burn. It's quite delightful. Good morning kids! Welcome to Episode 63 of Fantastic Mr. Fox Minute, the show where your favorite brother and sister co-hosts, Tyler and Chandra, discuss the 2009 Wes Anderson film one minute at a time. This week, Minute 63, in which everything is tense, and there's a bad word graffitied on a wall in the background. Join Chandra, Tyler, and special guest Sean German (Spinal Tap Minute, Groundhog Minute) this week as they discuss Minute 62 of Fantastic Mr. Fox, in which Kylie is predictably adorable, Felicity is predictably stupendous, and Mr. Fox is predictably sneaky. Hey kids! Ever wanted to spend twenty five minutes listening to a podcast about Minute 61 of Wes Anderson's Fantastic Mr. Fox? Well have I got a show for you: this one! This week, Chandra and Tyler talk Beach Boys, Latin names, and invasive species. It's pretty fun; I recommend you listen to it. One whole hour! Holy cow we're on our way folks. In this episode of Fantastic Minute, Chandra and Tyler delve into Minute 60 of Wes Anderson's Fantastic Mr. Fox, in which Mr. Fox finishes his second toast, and Felicity takes an important step towards forgiveness. Good evening listeners. Welcome to the 59th weekly episode of Fantastic Minute. 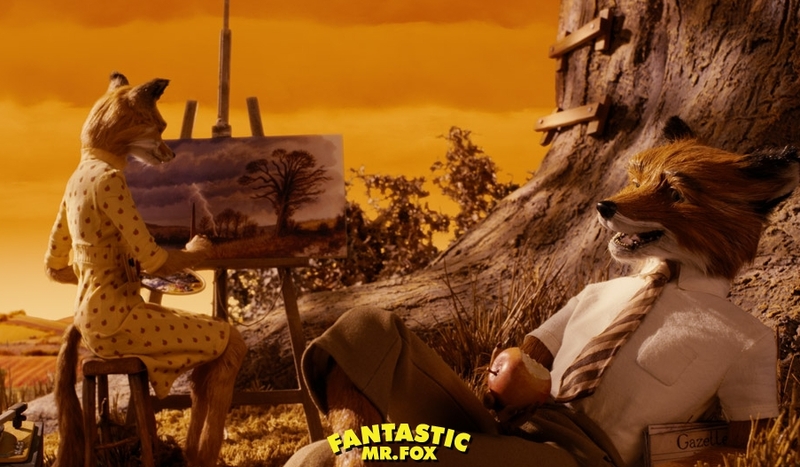 In this episode, Chandra and Tyler discuss Minute 59 of the film Fantastic Mr. Fox. One might say it's the minute that brings us from Act 2 to Act 3, so it's pretty important. But, you know, we also go off on some tangents. Hello Fantastic Minute fans! Chandra and Tyler are back this week to discuss Minute 58 of Fantastic Mr. Fox, in which Rat dies. Did Mr. Fox kill him? Good question. Is Rate an alcoholic? Also a good question. Tune in to find out.